Well I’m happy to say I haven’t been sitting on my bum. 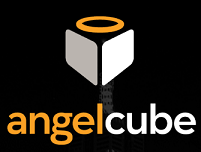 I’ve spent the last few weeks applying for Vinspi to be accepted into the Angelcube 2012 stratup accelerator program & (as of last week) I’m happy to announce that we got in!! I’ll blog more at a later date on the process of applying to a startup accelerator and getting in, but for now here is a simple slideshow on what I did in week 1 and progressing through to action for week 2.